Paying for Quality instead of Quantity: The new home care payment models are "value-based." In particular, a significant and growing share of home care reimbursement will come from bundled payments (such as a single fee for a joint replacement and associated recovery) and accountable care organizations (where the organization gets a fixed fee per member and profit comes from lowering the cost of care per patient while improving outcomes). Additionally the Home Health Value-Based Purchasing program has been rolled out in 9 states. Coordinating Care: In a home health episode, nurses and therapists make short visits to check vitals, med adherence, expected progress and red flags. A more holistic view of care also focuses on activities of daily living, and behavior change. Forward thinking agencies are delivering a care with a combination of skilled workers, aides, call centers and technology. Substituting aide visits, call center check-ins and automated monitoring for nurse and therapist visits can often improve outcomes while reducing cost. Unlocking Health Data: In addition to coordinating care, there is tremendous value in sharing data. Most home health visits focus on the specific condition that brought the patient to the hospital, whereas home case visits focus on activities of daily living and health claims data usually focuses on primary diagnosis. Holistic care looks at all of a patient's health conditions and leverages the combination of professional, paraprofessional and technology interventions to each do their part in monitoring and providing treatment. 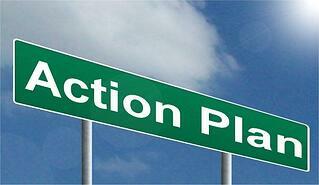 What's the Action Plan for Your Agency? Let's face it, we never have enough time to focus on strategy in our agencies. But in this case, the strategy is laid out: Quality, Coordination, and Using Data. So what are we doing to achieve that strategy. If you have success stories, send them to us at info@ankota.com. We'll give you all the credit and share them. Ankota, through our partnership with Triple Aim Technologies is offering an effective and affordable remote monitoring technology that addresses all of the patient's health concerns and costs roughly 50 cents a day. You can learn more by downloading our free e-Book entitled Winning with the Home Health Value-Based Purchasing Program that you might also enjoy and find value in.